Want a better Fat Burn? Two things that most people look for in a workout is efficiency and efficacy. Essentially, people want results, and they want them as quickly as possible. In my many years as a personal trainer, I have found that most people have a serious disdain for cardio. While it is commonly accepted that resistance training and muscle gain are the most efficient way to burn fat, long-term, adding cardio to a weight training program can help achieve a weight loss goal quicker. Cardio is a broad term that encompasses workouts that train the cardiovascular system by increasing the heart rate and burning calories. There are a few different ways to perform these cardio workouts. What most people think of when discussing cardio is Long Slow Distance. This is performing cardio at a steady pace for a specific distance or time. While this will burn calories and increase endurance, it takes time and is monotonous, and in fact, can also have a negative impact on muscle gain. This type of cardio is beneficial for endurance athletes, but is not the most efficient and effective for the average client who wants to lose fat and get the cardio done and over with. An alternative to this long, steady, slow distance way of doing cardio is “interval training.” There are many variations of interval training, but the most basic explanation is cardio-based exercises that pair a sharp increase in heart rate, followed by a specific rest time. This is an efficient way to burn fat and will cut down the time of actual working out with achieving greater fat loss results. While intervals are great, they can still take some time, and depending on the intensity, still have a negative effect on muscle mass. But, what if I told you there was a cardio workout that could be completed in fewer than 15 minutes, and still maintain musculature? Sounds too good to be true, or like a late-night infomercial, right? it’s not. So, what is the catch? The catch is, it is HARD; it will be the most miserable 10 to 15 minutes you’ve experienced. Your lungs will be burning, your muscles will be on fire, and you will get incredible results without ever stepping on a treadmill or elliptical. What I am describing is something called “complexes.” Complexes are a type of high intensity interval training that is resistance/weight training-based. A complex is a series of exercises done for a certain amount of reps in succession, without rest. They are performed with one piece of strength training equipment (barbell, dumbbell, Kettlebell, etc.) that is not put down until the series is complete. When the series is finished, there will be a short time of rest, and then the exercises will be repeated. After four or five rounds of this, you will be seeing spots, completely exhausted, and not wanting to move. While there is an advantage to increased caloric burn during the actual workout, there is also an advantage to increased EPOC (Excess Post-Exercise Oxygen Consumption). EPOC means that you will have increased heart rate and caloric burn for hours after the workout is done. Because one performs the workout with resistance-based exercise, it will be conducive to maintaining muscle mass while burning fat. What exactly do complexes consist of? While there are endless variations to a complex, a general layout would appear as follows: six to eight compound exercises, performed for five to six reps, with a timed rest of one to two minutes, then repeated for four to five sets. Now, if complexes sound too easy and too good to be true, then you’ve never experienced just how awful this can be. How much weight should you use? You must remember that this is not a workout to build strength, but rather, is a metabolic burn. The weight will be relatively light. In case you missed it before, an important aspect of the complex is not putting the weight down UNTIL you have finished every exercise, this means selecting a weight that you can do comfortably for the weakest lift in the complex. For instance, if there are squats and shoulder presses in the complexes, you would not want to choose a weight that you can barely lift for squats, as it will be impossible to perform the shoulder presses without changing weights. Because of the metabolic nature of the complex, you are going to want to choose multi-joint exercises that hit multiple muscle groups. This is not the workout to focus on bicep curls. This workout will be extremely taxing, so it is imperative to ensure proper form for each exercise. Complexes should be preceded by a good dynamic warmup, and followed by a proper cool down and stretching. 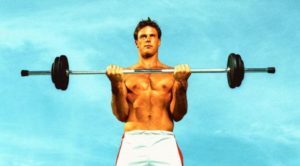 These workouts are really for the sole purpose of burning fat and conditioning. When combined with a proper lifting routine, you will have a roadmap for success. Weight training to increase muscle mass and using complexes to promote fat burn will give you the most effective and efficient results possible. Try adding complexes to your current routine twice a week, and watch the fat melt away! Dan’s journey into fitness began as an overweight youth. Being extremely overweight he took steps to change his life starting with proper nutrition and a little bit of exercise. He attended Clemson University receiving a BS in Management. He spent most of his free time in the rec. center getting hooked on exercise. 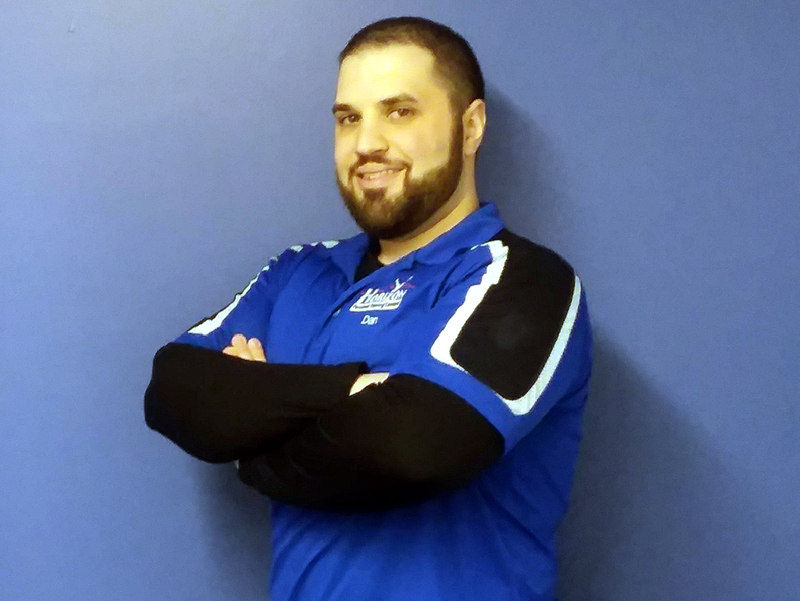 Upon graduating he moved back to CT and decided to learn everything he could about the fitness industry and how to properly train the human body. He attended The National Personal Training Institute receiving a diploma in personal training and nutrition consultation. After NPTI he participated in a 4 month mentorship to learn the intricacies of training athletes. This is where he found his passion! He has spent the last 4 years training athletes, of all ages. He has extensive experience training athletes from middle-school all the way to the pros, in all sports! 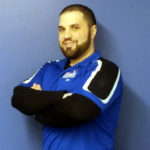 He is a certified strength and conditioning specialist, CSCS, through the National Strength and Conditioning Association. He is also has an Advanced Certified Personal Trainer (A-CPT) certification, and is currently working on his Tactical Strength and Conditioning Facilitator certification. No Comments to "Better Fat Burn with “Complexes”"